The Region of Peel’s Sewer Use Bylaw is now called the Wastewater Bylaw (53-2010). The new bylaw applies to all businesses discharging directly or indirectly to sanitary sewers and/or storm sewers in Peel Region and is effective April 1, 2011. The Wastewater bylaw combines and updates three existing bylaws and reflects regulations that will help the Region better monitor and protect our environment. The new bylaw also includes a ticketing system of up to $1000 for offences or violations. These changes are as a result of extensive consultations with industrial partners and local municipalities. Under the Wastewater bylaw industrial and commercial companies that discharge wastewater are now required to complete and submit new Waste Survey Reports, and those that currently have Sanitary Sewer Charge Appeals must also reapply. Additionally, companies and industries that have a history of spills or violations must create a Pollution Plan. Waste Survey Reports, Applications for Sanitary Sewer Charge Appeals and Pollution Plan documents are available from the Region’s Environmental Control Inspectors or by calling the office at 905-791-7800 ext 3101. The Wastewater bylaw is enforced by the Environmental Control department. All industrial facilities within the Region are vigorously examined by inspectors and approximately 6,000 inspections completed each year. Industrial facilities are required to provide locations where their sewer discharges so it can be monitored by Regional personnel. 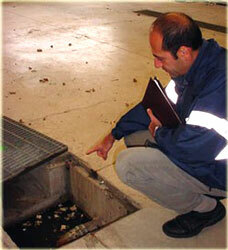 Inspectors also investigate complaints from both industrial facilities and households for sewer discharges. 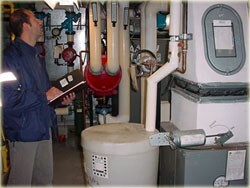 Environmental Control: 905-791-7800, ext 3101. Report a spill: 905-791-7800 or the Ministry of Environment Spills Action Centre: 1-800-268-6060. Household hazardous waste information: 905-791-9499. Caledon residents in long-distance areas may call 905-584-2216 toll free. Information is also available on our website.